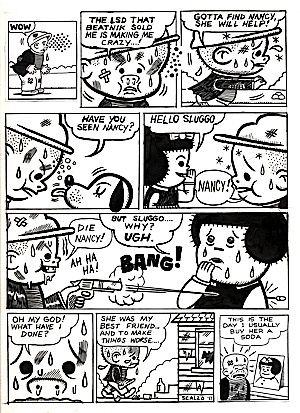 Nancy and Sluggo page published in Josh Bayer's Suspect Device #1. Ink on bristol. 1st and last panels are pasted Nancy panels. Art measures 12"x 9.5". Signed on request.